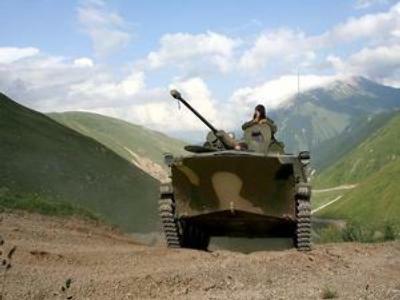 All brigades in Russia’s North Caucasus military district are to participate in the Kavkaz-2009 military maneuvers in June 2009, according to the ITAR-TASS news agency. First deputy Minister of Defence Aleksandr Kolmakov says the scale of the war games will be comparable to those of the Soviet era. Simultaneously, all of Russia’s military commands are set to conduct demonstration tactical maneuvers at the same time the Kavkaz-2009 war games are underway this summer. Further, the newly created army re-structuring of brigades will closely study the experience of the military operation in Georgia in August 2008. At the moment, the armies of 12 NATO countries are taking part in the Cooperative Longbow 09/Cooperative Lancer 09 war games in Georgia, being held within the framework of the Partnership for Peace programme of the North Atlantic Treaty Organization. These military drills close to Russian borders have resulted in numerous protests from top Russian officials.